Darktable photography workflow and raw developer released version 2.6.1 today with enhancements and many bug-fixes. Also there are many bug fixes, new devices support in the release. See the release note for details. The software has a stable PPA with the most recent Darktable packages for Ubuntu 18.04 and higher. Darktable 2.6.1 will be available in the PPA in two or three days. At that time, you can open terminal (Ctrl+Alt+T) and run following commands one by one to install it. Darktable announced the new major 2.6.0 release today many great new features and lots of new cameras support. There’s a stable PPA maintains the most recent Darktable packages for Ubuntu 16.04, Ubuntu 18.04 and higher. The maintainer now is building and testing the new packages. And the 2.6.0 stable packages will be now is available in 1 or 2 days. Open source photography workflow software and raw developer Darktable 2.4.4 was released a day ago as the fourth bugfix release for the 2.4 series. Here’s how to install it in Ubuntu 18.04, Ubuntu 17.10, Ubuntu 16.04. 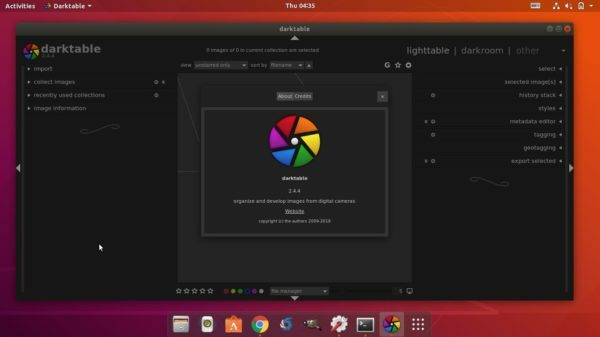 The software has a stable PPA contains the latest Darktable packages for Ubuntu 16.04, Ubuntu 17.10, and Ubuntu 18.04. Type in your password (no visual feedback while typing due to security reason) when prompts and hit Enter. The open source photography workflow app and raw developer Darktable 2.4.3 was released a few days ago. Now it’s available via PPA for Ubuntu 18.04, Ubuntu 17.10, Ubuntu 16.04. Base support for Fujifilm X-H1 (compressed), Kodak EOS DCS 3, Olympus E-PL9, Panasonic DC-GX9 (4:3), Sony DSC-RX1RM2, Sony ILCE-7M3. Warning: support for Nikon NEF ‘lossy after split’ raws was unintentionally broken due to the lack of such samples. If you have affected raws, please contribute samples! 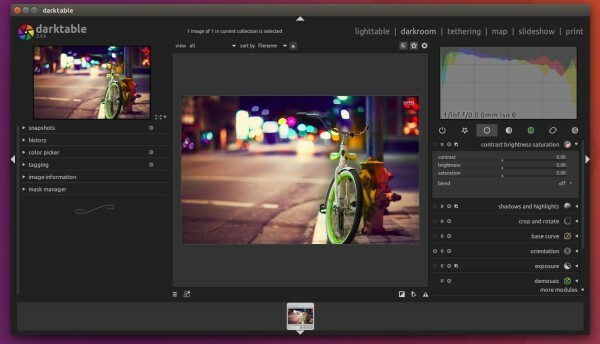 The software has a stable PPA which so far builds Darktable packages for Ubuntu 16.04, Ubuntu 17.10, and Ubuntu 18.04. 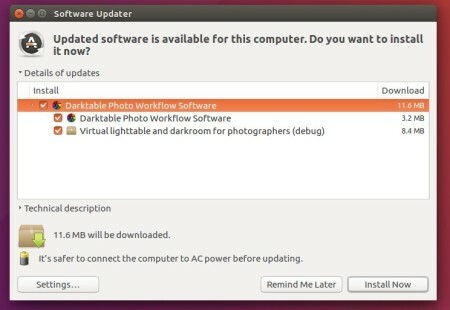 Darktable, open-source photography workflow software and raw developer, reached the 2.4.1 release a day ago with enhancements, various bug-fixes, and also updated list of cameras support. Add keyboard shortcuts to zoom and pan an image in darkroom. Enable searching in the more modules list – click into the list to give focus to it, then start typing. For the bug-fixes and new supported cameras, read the release note.